Coffee stations are a super simple and amazing way to make your kitchen prettier, especially if your budget doesn’t allow you to make drastic changes. 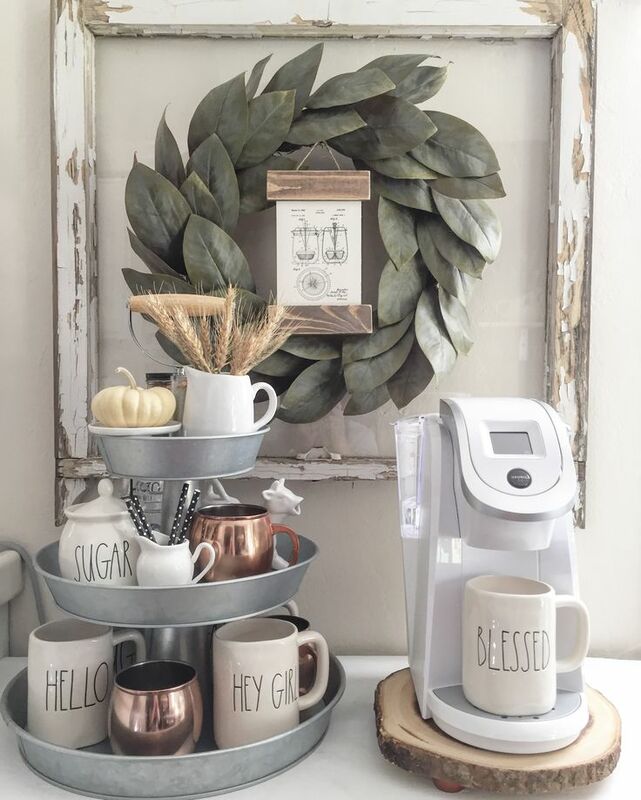 Establishing your own coffee station doesn’t require much – it’s mostly things you already have in the kitchen, just being relocated and rearranged in a cuter way. There are plenty of ways to do this, such as using a rolling cart or a small bookshelf. 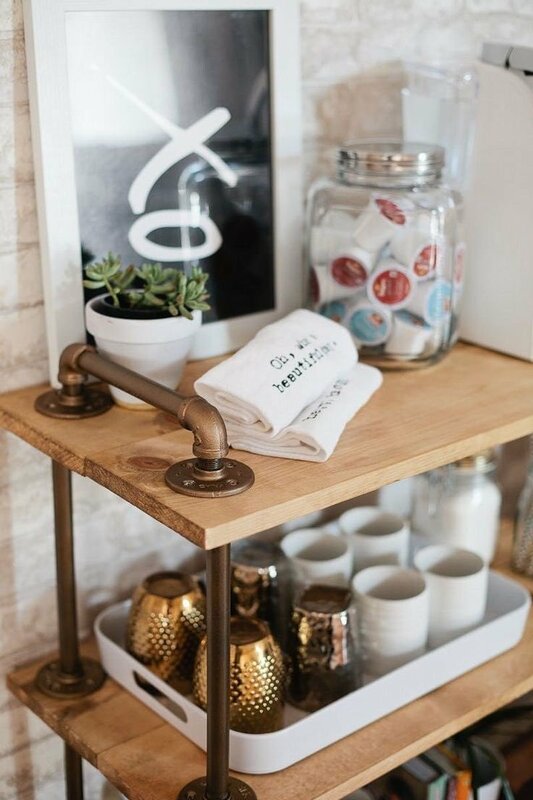 It’s all about making use of things you own and placing them together in what seems to be your new favorite place in the morning – your very own coffee station. It’s like you’re a kid again – having your own chalkboard and writing stuff all over! 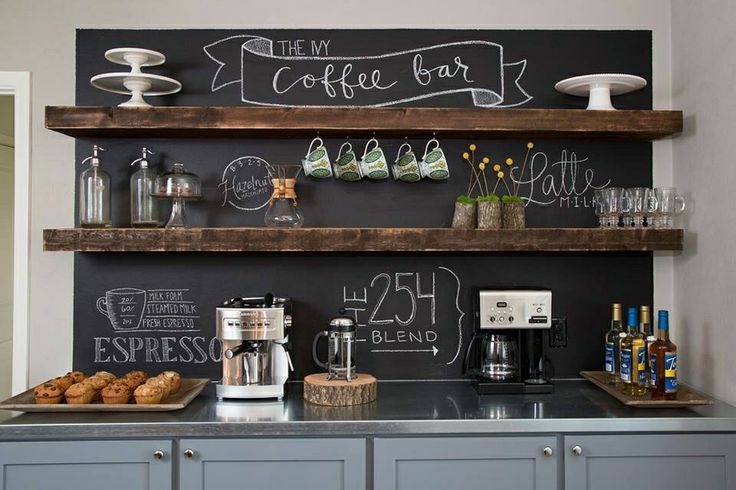 Decorating your coffee station with chalkboard quotes isn’t only going to look nice, but it will feel like that as well. Waking up early and getting your coffee while reading happy quotes it’s not that bad too start the day with, right? This is a perfect idea for those of you who can’t afford a chalkboard wall. 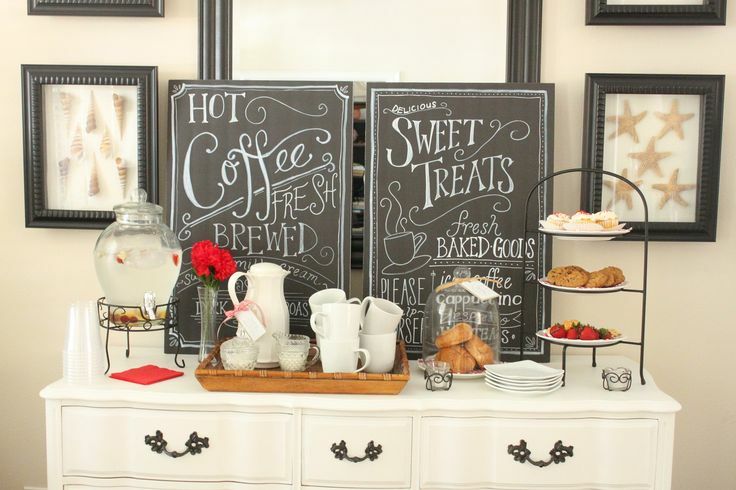 Instead, buy two smaller chalkboards and place them somewhere upon your coffee station. But, before that make sure to write down every cute quote you can possibly think of and if you also feel like drawing – do that as well. Coffee stations can easily become a huge mess – too many cups, coffee machine and too many products here and there and let’s face it: the dishes are enough mess themselves! 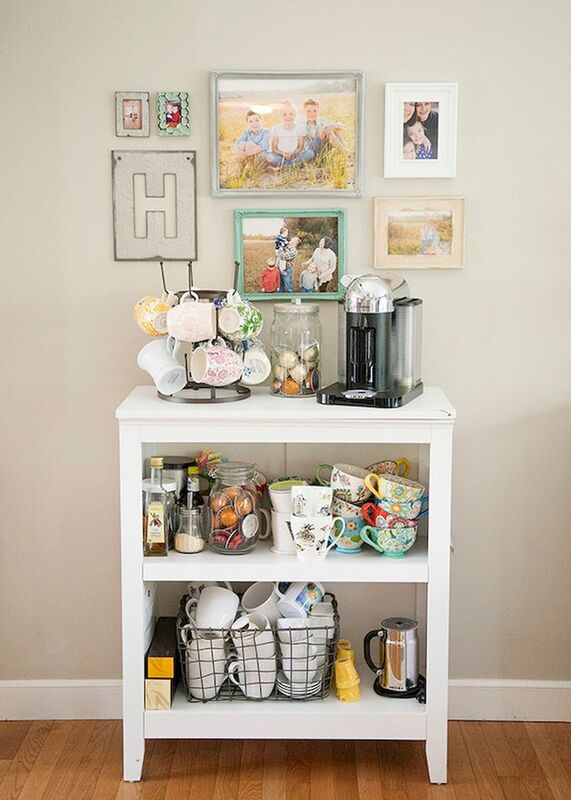 To avoid this from happening, you can include wire drawers that will help you in organizing your coffee station items and make them close to you at the same time. If you got any extra bookshelf at home that you don’t intend on filling with books, you can easily turn it into a coffee station. It’s simple, but it’s spacious to place all needed items in there! To make it appear more cute, feel free to attach paintings on the wall, a bouquet of fresh flowers on top, or whatever it is that melts your heart while drinking coffee. Rustic is always a good idea. It can perfectly fit into different interior styles and at the same time it gives off those good vibes that our home is the warmest place to be. 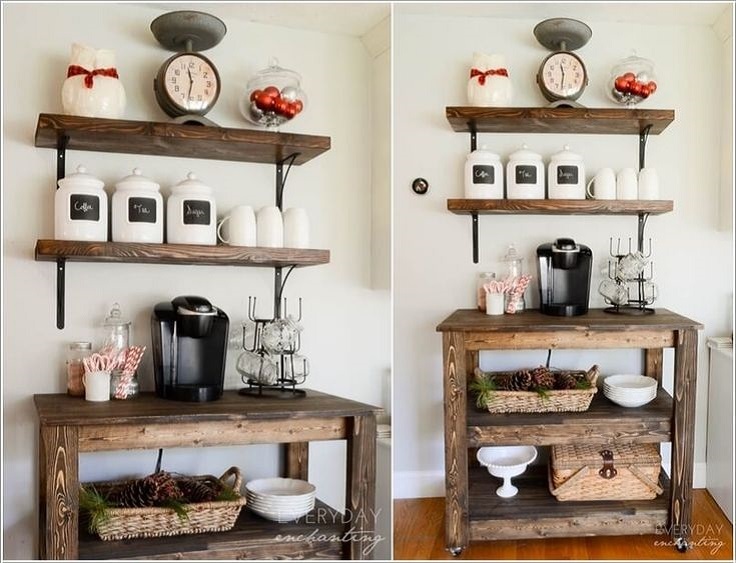 For this coffee station you need some old shelf, or at least one that looks old! Place other rustic or vintage looking items such as twig or crocheted baskets. 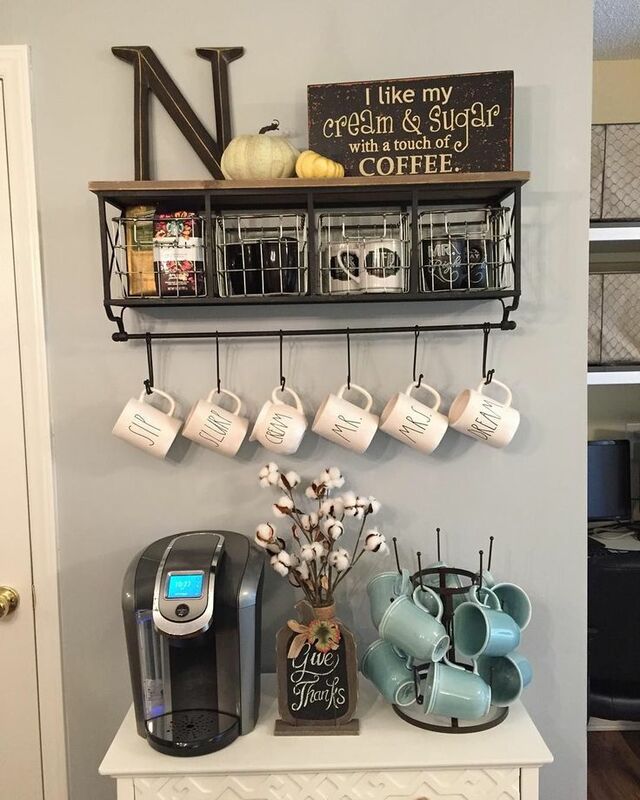 For those of you aren’t able to free space in order to place a coffee station in your kitchen, here’s an idea how you can pull it off without making too many changes to the room. In fact, this is really the simplest coffee station! It’s tiny, cute and represents a good example of Rae Dunn display. 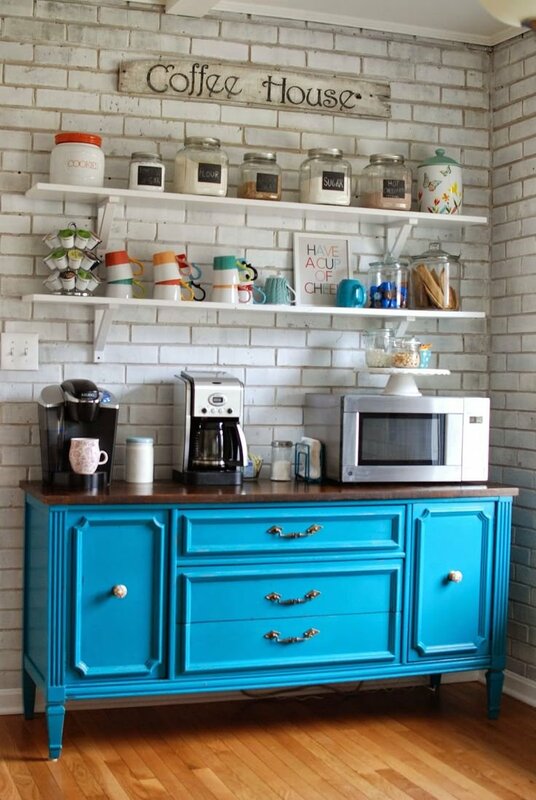 Painting your kitchen ornaments into a bold color can be such a bold move, but it can really pay off well. Your coffee station sometimes can be so gorgeous just because of the colors included, so this picture is just a proof! When in doubt of what to do – especially when you don’t have much space to experiment with – go for a bold color that will compliment the room. Using rolling cart for your coffee station will prove to be a very practical thing to do. This way, you can move your coffee station from one room to another, instead of having it based just in the kitchen. So, get your favorite decorations, but make sure to move the shelf carefully, as you don’t want to break something or spill coffee – it’s precious! 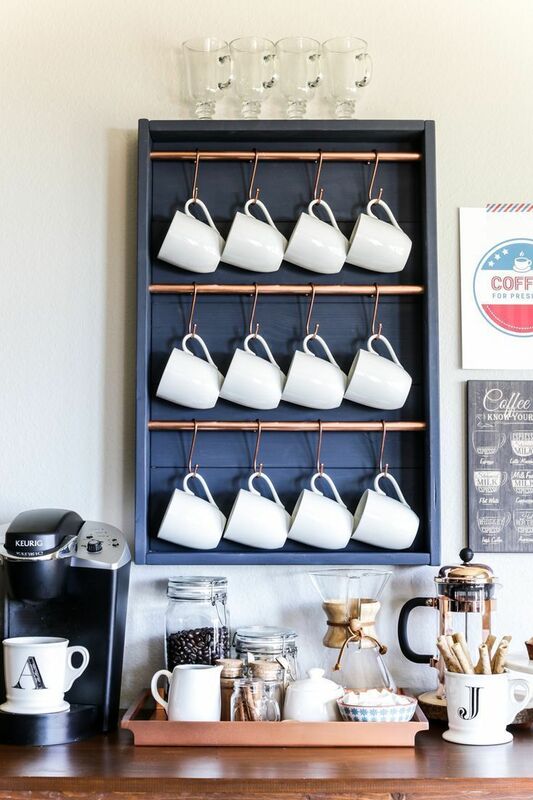 Here’s another organizing trick – how about adding a cup holder to your coffee station, where you can hang your clean coffee cups, which in return will leave more space and make less mess? This is a very simple idea and won’t cost you a lot, but will be really worth it because it can make any coffee station look more adorable. So far every coffee station we’ve shown you included shelf or some similar kitchen ornament. 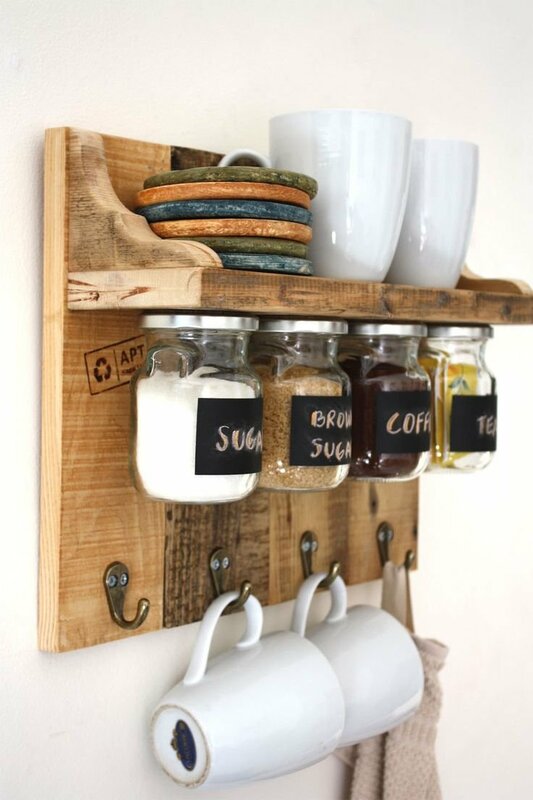 This time you can consider a hanging shelf as your new place for a coffee station. Thanks to this, you won’t need to rearrange things in the kitchen and it can seem like a nice way to decorate an empty wall.